RAPAC is a subsidiary of Ring Container Corporation and one of the nation’s largest packaging materials producers and recycler of Polystyrene. In 2009, the company became the first to introduce a molded foam-packaging product that is (a) made from 100% recycled material and (b) is itself 100% recyclable. RAPAC chose Walker & Associates to develop brand identity for this new product and a marketing plan to introduce it nationwide. W&A interviewed stakeholders, both internal and external, and as a result, recommended a brand name, logo design and strategic marketing plan, beginning with a visually compelling brochure. To stand out from the often bland and direct marketing approach - aka “boring” - taken by many manufacturing companies, W&A recommended introducing the new product with a large logo and a brochure that blended solid technical and business information with the emotional appeal of environmental responsibility. In developing the identity, W&A wanted to create a name and logo that had an industry “insider” appeal with consumer product design sensibility. In the plastics industry, the number 6 represents Polystyrene. 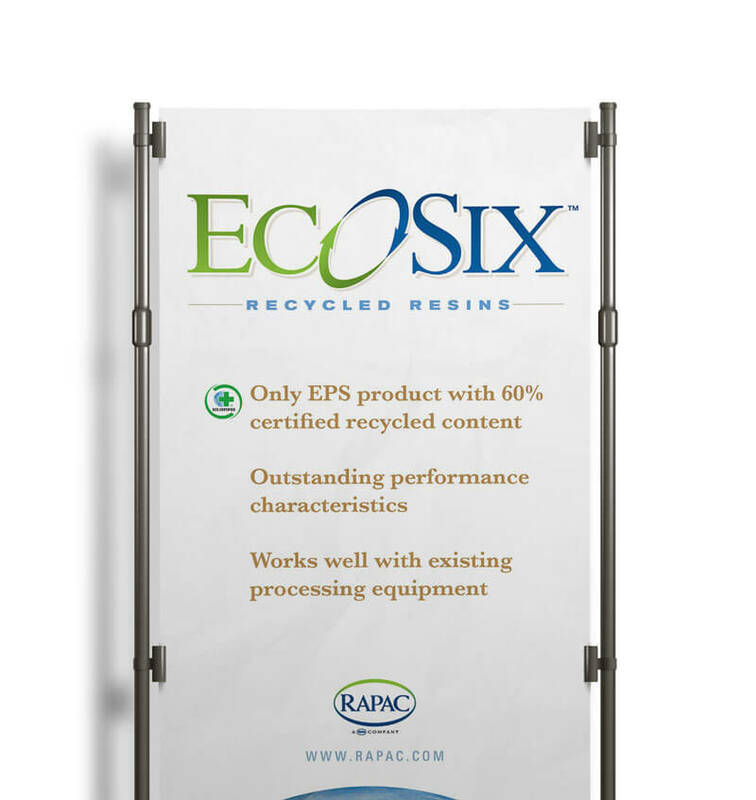 W&Q developed the simple, yet meaningful name “EcoSix” and created a crisp logo to represent its meaning. As an extension of this brand, “O” design treatment in the logo is leveraged to represent all of RAPAC’s environmentally friendly practices and products. For the product’s introductory brochure, W&A blended custom and stock photography to achieve a crisp, clean look that, with a few words, expresses all the key ideas a manufacturer needs to know about how this product can positively impact their business. Since the launch of this integrated marketing and sales effort, RAPAC has conducted technical trials at customer plants across the nation and has already nearly hundreds of thousands of pounds of product as a result.